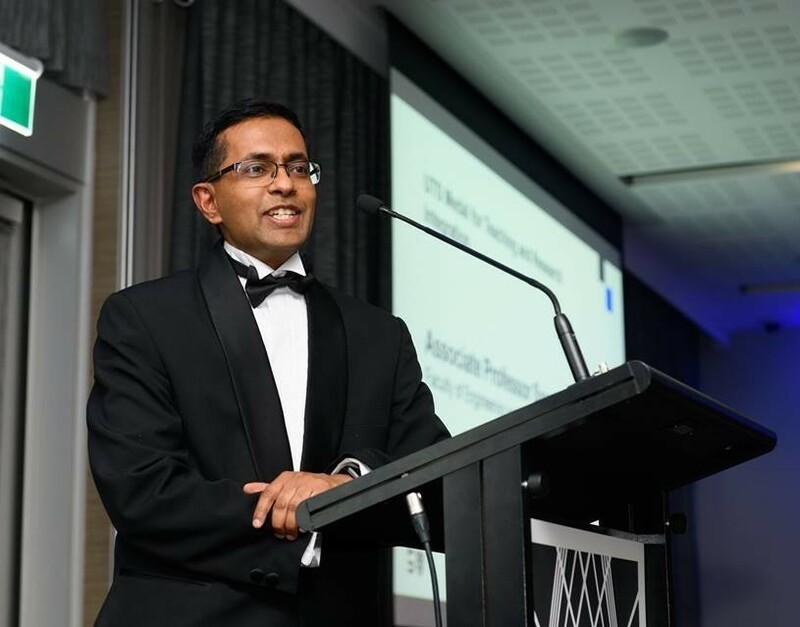 It is with great pleasure that I would like to inform the members that Associate Professor Sarath Kodagoda, University of Technology Sydney (UTS), received the UTS Vice-Chancellor’s Medal for Teaching and Research Integration (2018). This is a highly prestigious award given to an academic to recognize the significant contributions made to educational innovations through research. In addition to the medal, in previous years, he received Australia- wide Office for Learning and Teaching (OLT) award and UTS Teaching Award for his exceptional and sustained contribution to teaching innovations. The UTS Vice-Chancellor’s Awards for Research Excellence were established in 2010 to recognize the outstanding contribution made by UTS staff towards helping shape the world we live in. UTS is committed to practical innovations and to the development of impact-driven research that benefits industry and the broader community. These awards recognize high-quality research, underpinned by technology and creativity, being done across the university. In particular, the UTS Medal for Teaching and Research Integration is a prestigious award, which recognizes the exceptional contribution to integration of research in teaching and learning. The contributions are evaluated through originality, excellence, innovation and student impact. 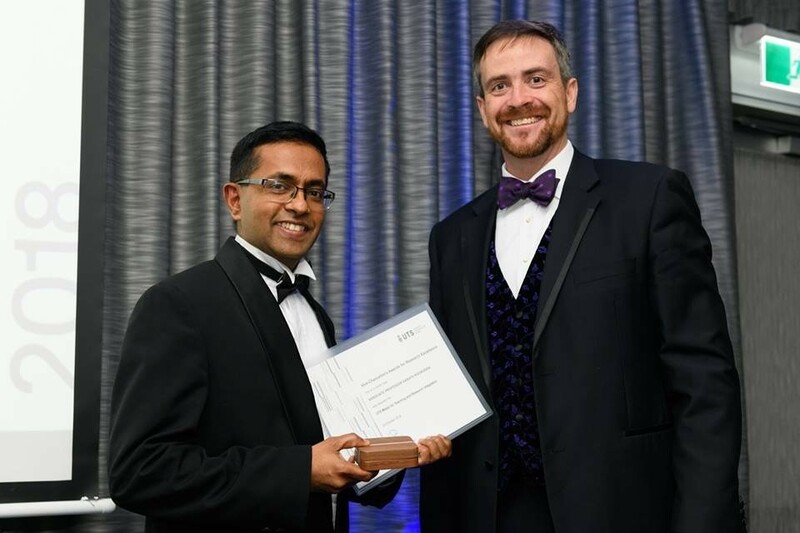 A/Prof Kodagoda introduced research inspired competition-based assessments and created opportunities beyond the boundaries of the classroom as co-curricular activities to enhance deeper learning of mechatronics (robotics) engineering. The students highly value these experiences and believe the activities have highly influenced their current and future careers. Associate Professor Kodagoda, received his bachelor degree from University of Moratuwa, Master of Engineering and PhD from Nanyang Technological University in Singapore. He has 20 years of experience in robotics. He is a co-chair of the ‘A Robotics Road Map for Australia’, which was launched in June 2018 at Parliamentary House Canberra. He is currently serving as Associate Professor, Coordinator of the Mechanical and Mechatronics Engineering Program and Deputy Director (Teaching and Research Integration) at Centre for Autonomous Systems at UTS. He has been a visiting Associate Professor at Stanford University in 2018. Other than his teaching awards, he is also a recipient of 5 national and international research awards. He is an established researcher with many research and development grants and successfully supervised 14 PhD completions. A/Prof Kodagoda is a keynote speaker, conference general chair, editorial board member of a number of robotics journals and conferences. He has significantly contributed to educational developments by designing the Mechatronic Engineering undergraduate course, Masters of Engineering in Robotics course, revising the Mechanical and Mechatronic engineering undergraduate course and designing innovative teaching facilities (Robotic Remote Lab). He is a member of the IEEE and the Secretary to the Australian Robotics and Automation Association (ARAA) in 2017-2018. His research interests include infrastructure robotics, machine learning, perception and mobile robotics.